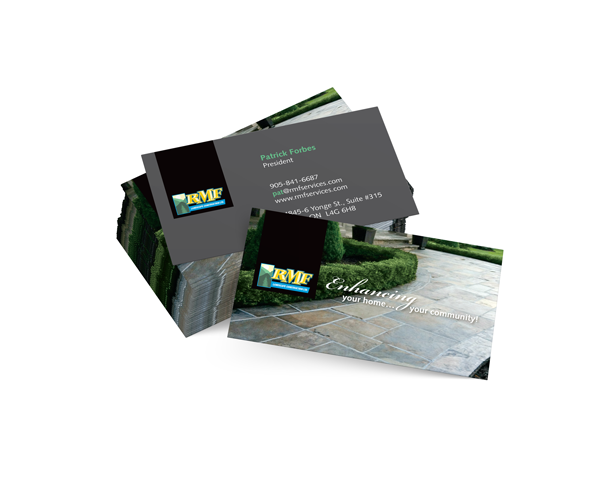 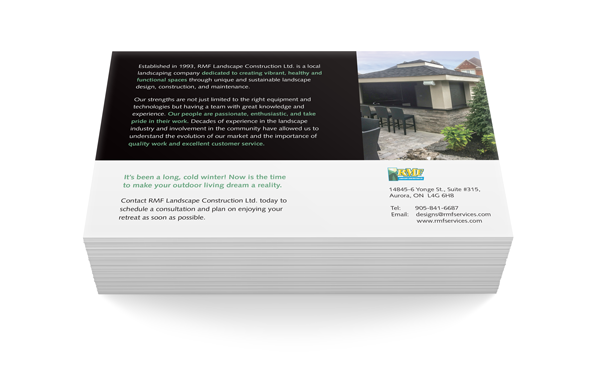 RMF Landscape Construction needed a new business card and "leave behind" for their salespeople. 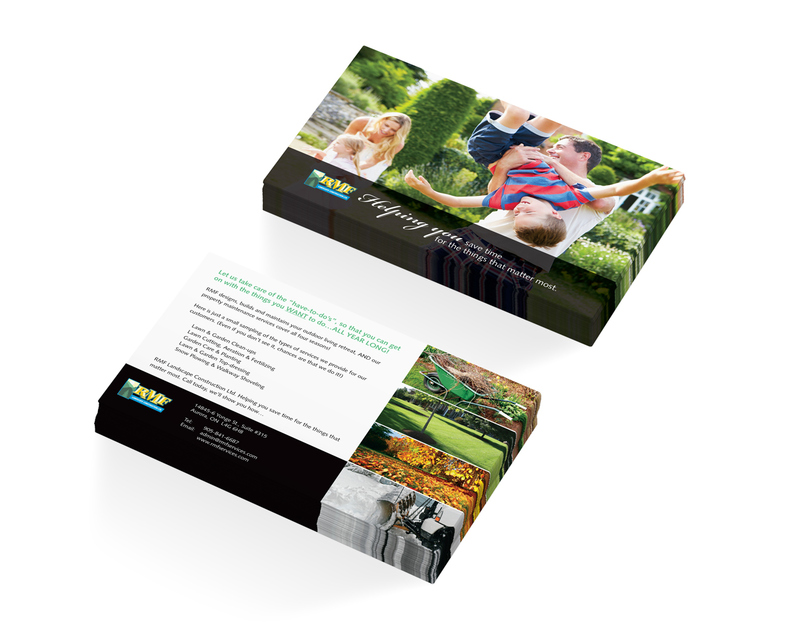 We used existing snapshots that were taken by the crew. 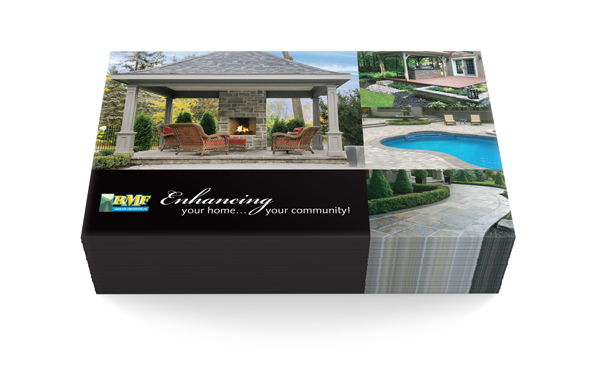 There were some major corrections/enhancements to be done in order to have them represent the quality and workmanship that goes into their landscaping!